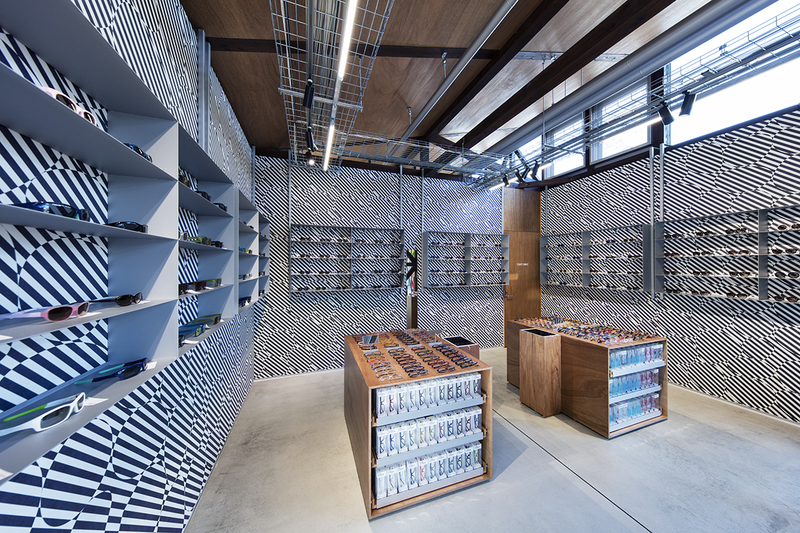 JINS, one of the biggest eyewear brands in Japan, commissioned Schemata Architects to design the renewal of their Ageo shop on the occasion of its 12th anniversary. 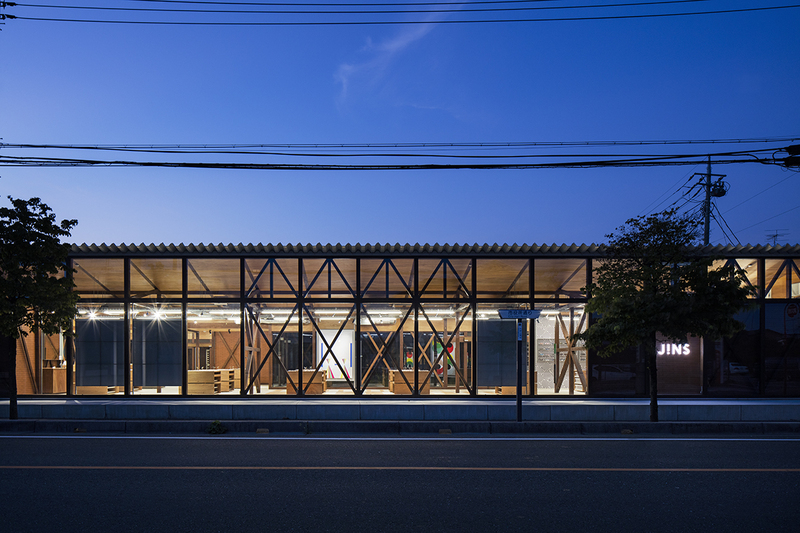 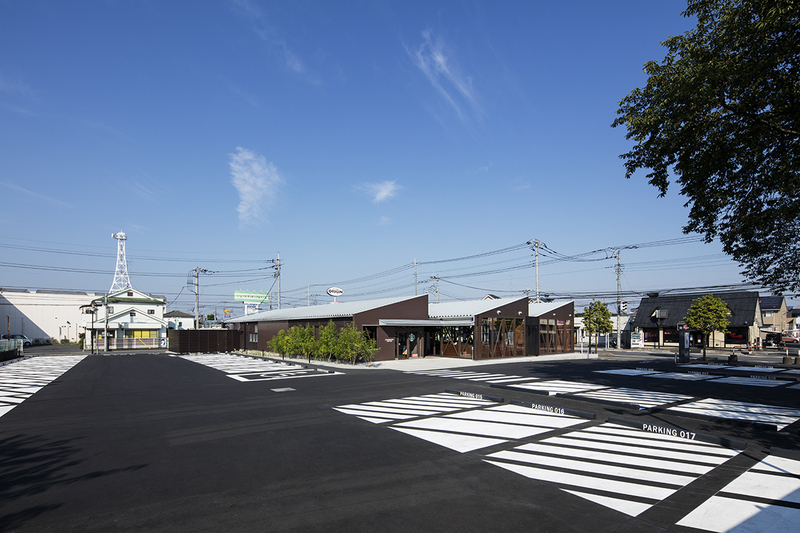 The existing shop consists of two L-shaped blocks, respectively an eyewear shop and a cafe, positioned around a square courtyard surrounded by an open corridor serving as a cozy outdoor cafe space. 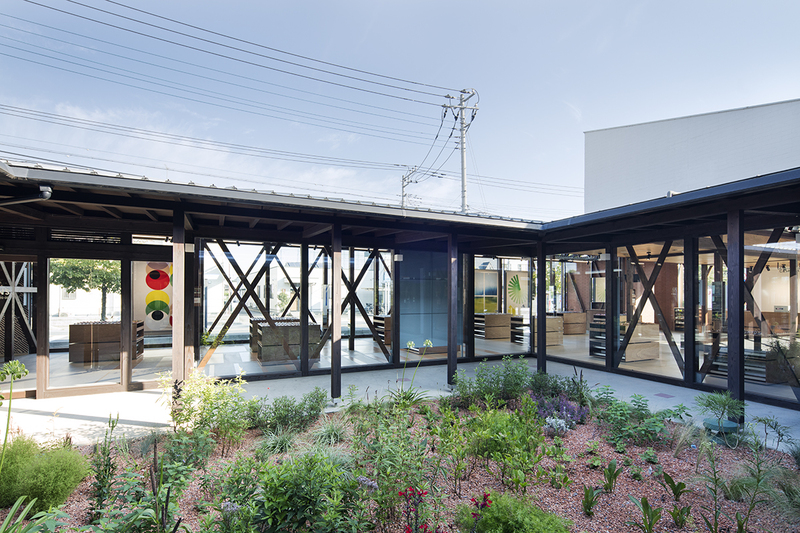 However, the existing building was clad in wooden panels and the courtyard and the cafe were hidden from the street. 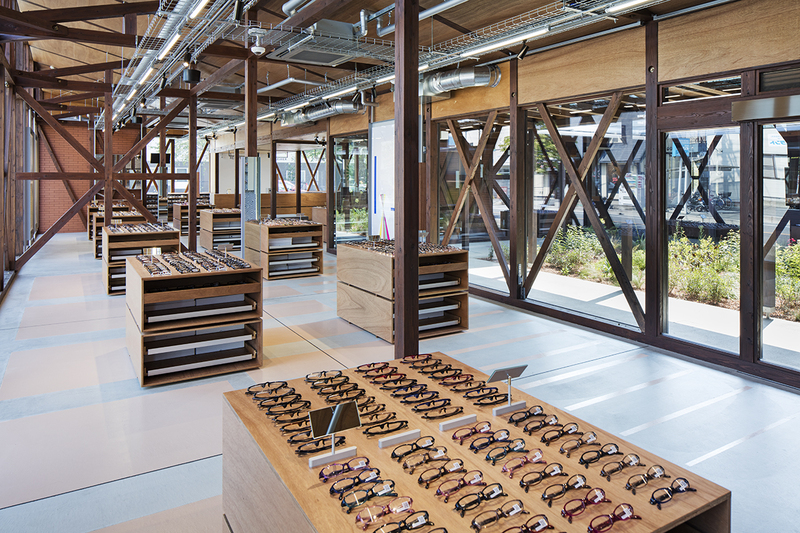 We removed the exterior walls and installed Low-E paired glass to initiate the view towards the beautiful courtyard from the street, while creating an impressive display of their extensive eyewear products highly visible from the street at the same time. 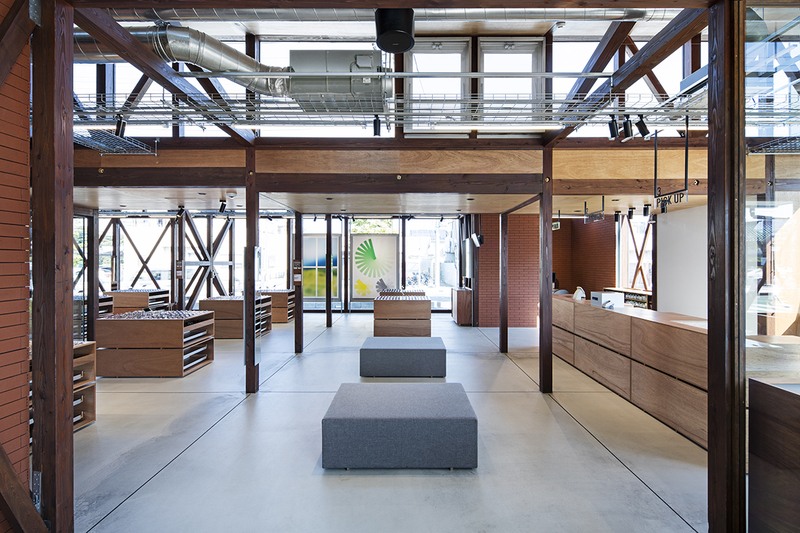 The interior design was intended to emphasize the effect of exposing the skeleton of the building. 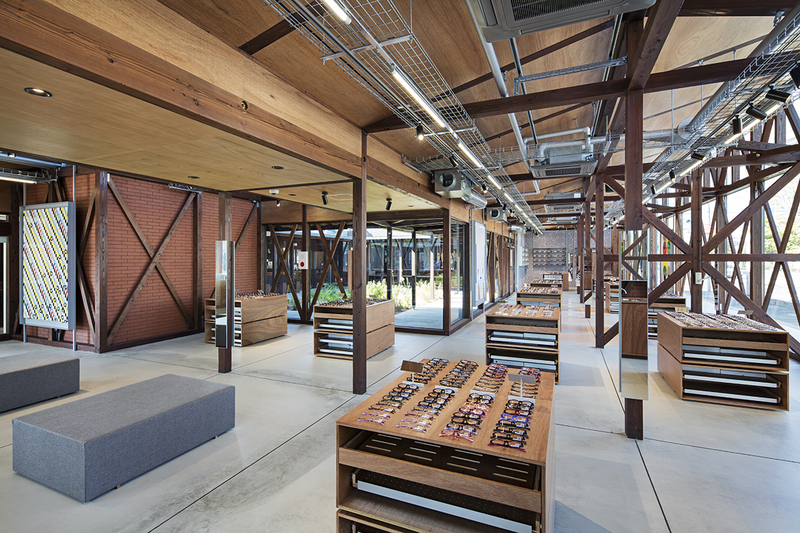 New interior walls are offset from the original wall lines, finished with brick tiles usually used for exterior finishes; shelves and display furniture are designed as independent elements detached from the building. 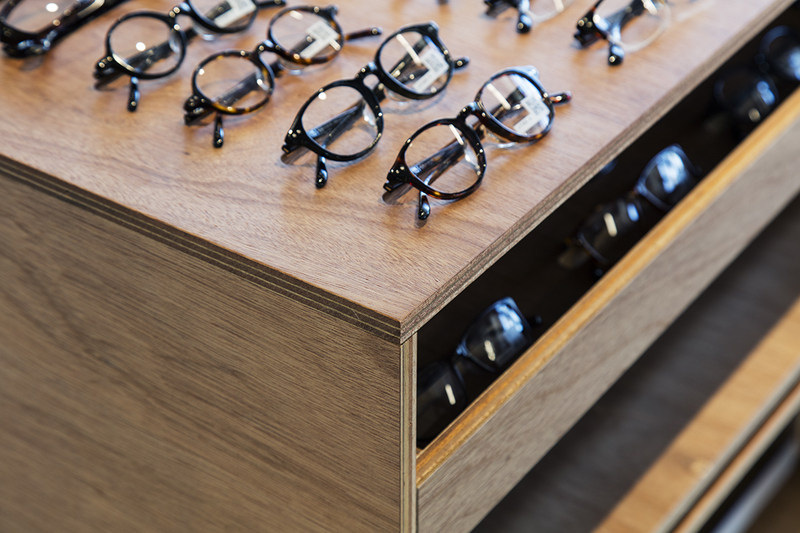 Eyewear products vary in shapes and colors, and we collaborated with the graphic design office KIGI to introduce visual elements in the shop so that the products and the space can relate to each other in a free and independent way.